Ford confirmed reports at the 2018 Los Angeles auto show of the new GT500 to be unveiled at the American International Auto Show in Detroit, January 2019. Now we get a sneak peek of the new engine or at least its cover, via some teaser images released from Ford. 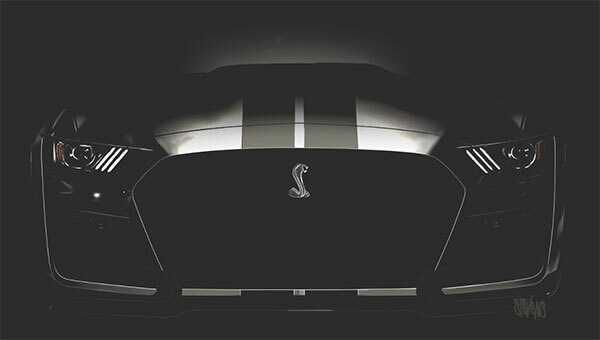 The teaser images show a supercharger casing with the famous Super Snake logo above what will be a 5.2-liter V8 engine. Other details about the engine so far are thin on the ground, but it’s likely that the flat-plane crank of the Mustang Shelby GT350 will be skipped for a different option, but horsepower ratings are going to be around the 700 mark. The car will also likely have a 7-speed dual-clutch transmission based on the one from the Ford GT, Brembo brakes, 20 inch wheels and a new front-end. 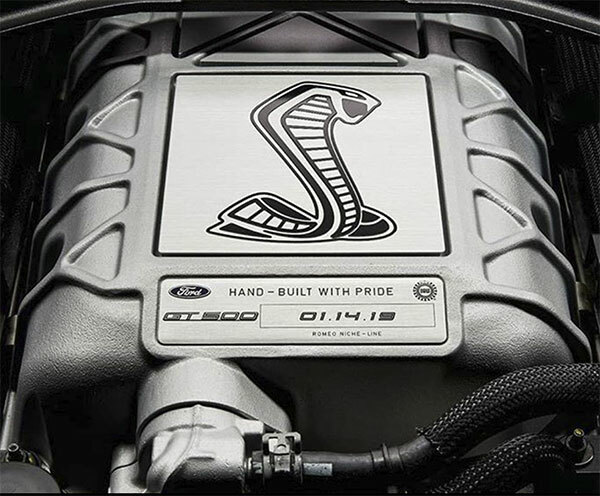 The other badging on the supercharger housing shows that the engines will be hand built and date stamped at Ford’s engine plant in Romeo, Michigan, indicating low numbers of these builds. Previous incarnations of the GT500 were built here, such as the 1990s SVT Mustang Cobra. Sales of the car will most likely start in the fall of 2019, with production probably only lasting one year. The Mustang will follow with a redesign in 2021, to be possibly released in 2022.